Based on reviews from 69 experts and 2,908 users. Learn how our rankings work or see our guide to pink basketball shoes. Updated Apr 2019. Pink: What Does It Stand For? Pink–a delicate and graceful color–is often associated with little girls and women in general. But this is actually a recent fashion development. Pink was originally for boys. In the 19th century, pink was considered a masculine color. In fact, young lads wore pink ribbons and other decorations, while the older ones wore red uniforms. Fashion institutes and color experts assert that pink has historically been linked to the color red, which is aggressive, passionate, and active. Being red’s lighter shade, pink is considered to be more suitable for boys. Pink became a fad for women in the United States and Europe in the 1890s when manufacturers tried to sell more clothes through color-coding. Soon they started to associate pink for girls and blue for boys. Nowadays, when a man wears pink, it means he is trying to make a statement. Fashion experts say that the current generation is not able to think of pink only as a color without associating it with something. 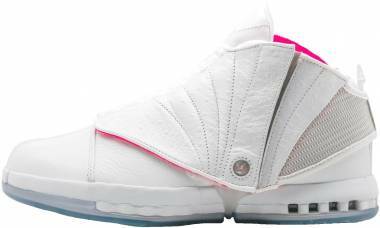 Pink basketball shoes are rare and men barely think of wearing them on a regular basis. 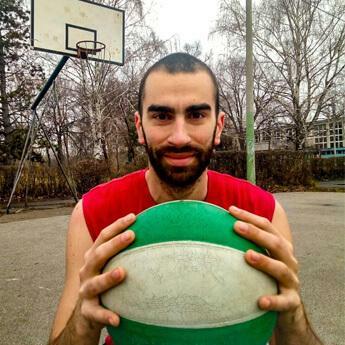 However, celebrities and athletes reach for them when they need to be on the court or when they attend special events. Nike LeBron 15. The Nike LeBron 15 is LeBron James’s favorite in his line. This shoe is the first to have BattleKnit, which is the highest grade of Flyknit. This material is specifically made for LeBron by designer Jason Petrie. It is comfortable, durable, and stretchable. 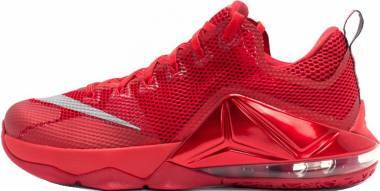 This full-bootie high-top basketball shoe comes with a unique combination of Zoom and Max Air for cushioning. The outsole has a triangular and spiked traction pattern. 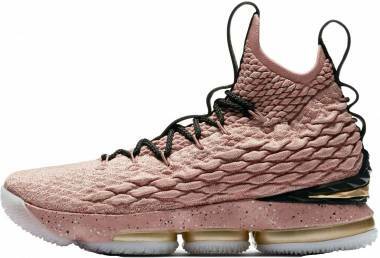 Along with some masculine and popular colorways, the LeBron 15 has a Rust Pink/Black version, which references the stars in Hollywood’s Walk of Fame. Nike KD 4. As of 2018, the Nike KD 11 is the latest in Kevin Durant’s signature line. However, reviewers attest that the KD 4 is the best in the series. Its synthetic leather upper is proven to be durable. A Zoom cushion is embedded in the forefoot of the shoe’s Phylon midsole. The outsole comes with a thunderbolt-like traction pattern with flex grooves for extra mobility. The KD 4 comes with an aesthetically appealing midfoot strap. 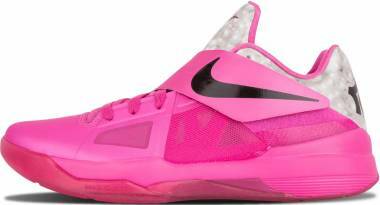 The KD 4 comes in a special pink colorway called the Aunt Pearl. Almost all of Kevin Durant’s Nike basketball shoes has a special Aunt Pearl rendition. On the tongues of these hot pink basketball shoes are pink Kay Yow Breast Cancer Awareness ribbons. Under Armour Curry Two. Just like other NBA athletes, Stephen Curry has so much love for his mother. When he receives awards, he never fails to thank his mother. This is why there is a Mother’s Day colorway for the Under Armour Curry Two. During the release of these Stephen Curry basketball shoes, he was recovering from an MCL sprain. 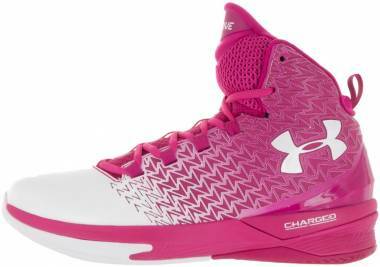 These UA basketball shoes are dressed in light grey with digitally printed vibrant pink roses, black midsole, and pink rubber outsoles. 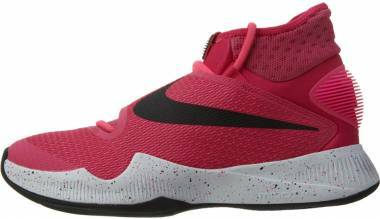 These hot pink basketball shoes are a game changer, being equipped with SpeedForm for a stable fit and full-length Charged Cushioning for impact protection. Nike Mamba Rage. If there is one NBA star who has a long list of basketball shoe colorways, it’s going to be Kobe Bryant. The Nike Mamba Rage comes in a black mamba-inspired Flyweave upper and a full-length Lunarlon midsole. 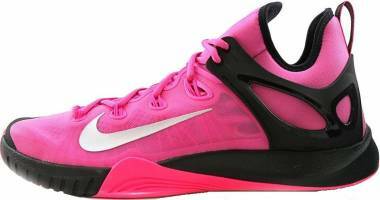 These Kobe Bryant basketball shoes are released as women’s pink basketball shoes. The pink Nike low-tops feature soft hues. Nike Air Flightposite. 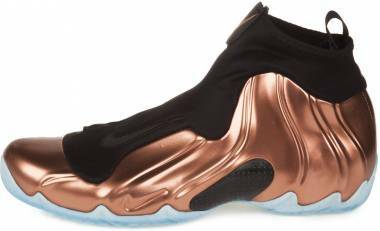 One of Nike’s more expensive shoe models, the Nike Air Flightposite undeniably delivers durability and comfort. Its removable polyurethane midsole encapsulates a Zoom Air unit. The upper is made of durable and lightweight Foamposite. It is a synthetic material made of molded polyurethane liquid. The shoe model comes in a vivid pink colorway. Air Jordan 1 Retro High. 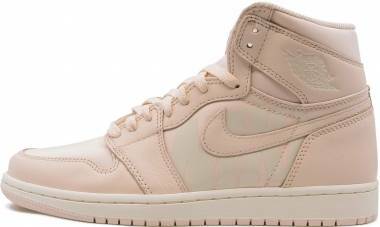 As the first Jordan basketball shoe, the AJ 1 has been retroed over and over again throughout the years. 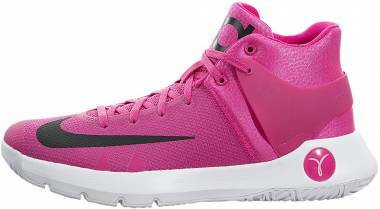 They come in different colorways, and the Valentine’s Day and Rust Pink versions are good options for those who love pink women’s basketball shoes. 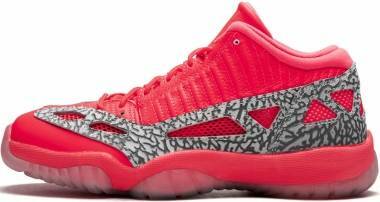 As for its performance features, the first Air Jordan comes with a great traction pattern an Air unit at the heel. 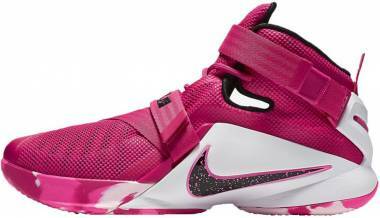 Shoe brands have yet to manufacture all-pink basketball shoes. This is probably because majority of buyers prefer colors that are easy to match; black, blue, and grey basketball shoes naturally become the more popular picks. But how do you get our hands on cheap pink basketball shoes? Simply wait for sales on Black Fridays, during the Christmas season, and even during inventory sales. 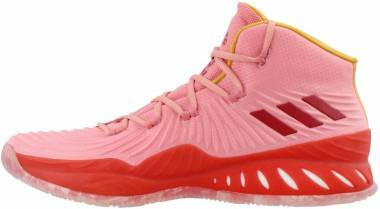 If you have an idea that a certain model is released as pink basketball shoes, it is wise to wait for the next model to appear in stores so that you can get the pink pair at a much lower price.